We are excited to announce that we will be hosting a new kind of (not) artsy-fartsy drinky, drawing party! 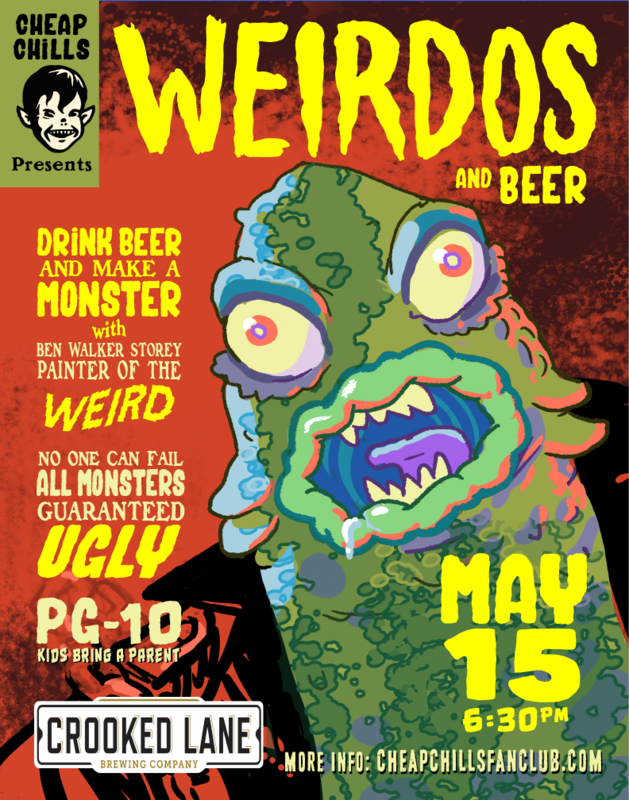 Drink beer* (or don't) and make a monster with Amanda and Ben Walker Storey. Ben will show you step by step, how to draw a swamp creature that is uniquely yours and guaranteed UGLY! This first drawing party is "First one's Free" status! Bring your own pens and paper if you have them. Markers, pens and heavy-stock paper will be on hand too, first come first serve.